White is safe enough from being cut. 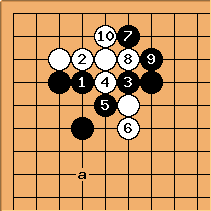 Black will not want to play this way, blighting the corner stone. 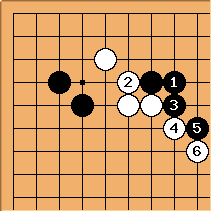 Black's usual replies are a (most popular), b and c.
If here, White normally plays in the corner. Now there are two variations. Playing in the corner allows White good shape - the counter-atari with at isn't playable here. 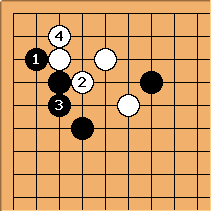 Instead, and to cut in the centre lead to a large-scale fight (Black 11 at a) with White requiring a way to make shape in the centre. 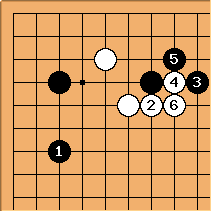 This variation is termed the Meijin Title Joseki in Ishida's Joseki Dictionary volume one, page 92, due to its frequent use in the games between Sakata Eio and Fujisawa Shuko in the Meijin tournament. 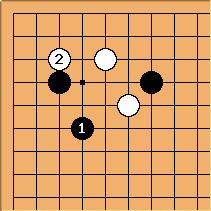 In this case White needs to connect, and usually turns to attack the pincer stone. Next Black can jump, the standard way to stay light, but also simply extend. If Black jumps White has the thicker position after and . 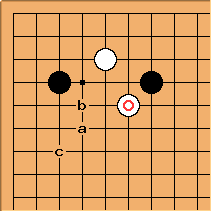 Black's intention in extending is to provoke a pushing battle in the centre. 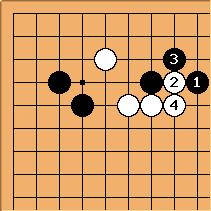 You can say that is a typical heavy play, but here is natural and goes for power on the upper side first. 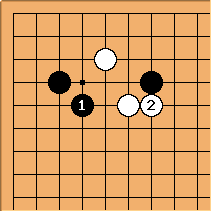 Black's corner stones are resilient enough. Recent (2004) Korean games show an additional push at . If the marked stone is in place, almost invariably the sequence to h follows, after which White is seen to virulently attack at i. --Dieter but what happens if cuts? Hmmm, I think White can even cut back! 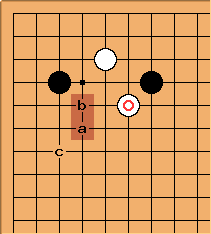 Jared: From Lee ChangHo(W) vs. Mok JinSeok(B). First game of 8th LG Cup Finals. begins the typical fierce attack. 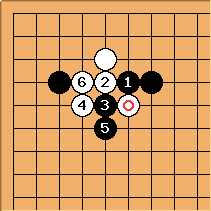 If Black extends to here, the old move in this position, White again puts pressure on the pincer stone.